We invest in high-end materials to fabricate exquisite windows and doors and other home improvement products. Monmouthshire Windows has been serving the area for 15 years in counting, and has exceeded beyond overall expectations and now are highly-competitive with market-leaders. We supply every kind of double glazing, ranging from high-quality uPVC windows to composite and aluminium doors, and even offer a fabulous conservatory line of sales. Our state-of-the-art showroom is in Caldicot, Monmouthshire, where you’ll see all of our beautiful products up close. Alternatively, our online quoting engine offers visualisations. We offer high-standard double glazing installations throughout Monmouthshire, supplying made-to-measure products, and fitting them precisely in your home. Monmouthshire Windows are continuously investing in the latest, cutting edge products, ensuring homes benefit from the innovative technologies to improve the performance of home improvements. We ensure that our double glazing is manufactured to the highest standards to achieve excellent levels of thermal-efficiency, weatherproofing and security, all available in customisable stylish aesthetics. For instance, our aluminium double glazing utilises the impressive profile of the Smart Visofold collection, which consists of polyamide thermal break to provide exceptional thermal-efficiency. Alternatively, we offer an innately energy-efficient uPVC profile from Rehau, who’s thermally-broken multi chambered design traps heat within the profile to stop heat from escaping. Finally, our composite double glazing provides strong insulation with the inherent properties of uPVC and timber, as well as strong security performance. Thermal-efficiency is enhanced by a polyurethane thermally insulated core, and various hardware options uphold security. Composite doors have a GRP (Glass Reinforced Plastic) coating, which provides strength and resilience against sudden impact and protecting your home. Here at Monmouthshire Windows, our windows are available in several configurations and styles. 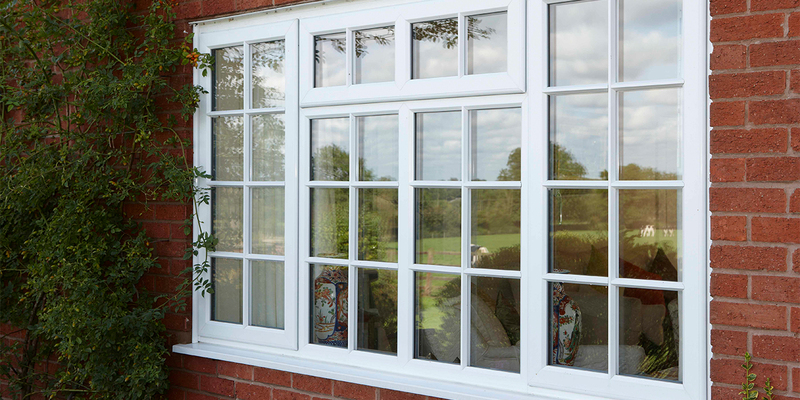 We offer the very basic uPVC casement window, which offers timeless aesthetics and durable functionality. Its simple yet classic style makes it a very popular and cost effective choice in Monmouthshire. Next, our traditional sash windows exude traditional style while offering the latest innovative technologies to provide impressive and durable performance. Our exceptional uPVC bay windows offer additional space to a property whilst providing yet another fabulous feature for your home and you’ll benefit from more natural light in your home. Then, we offer uPVC tilt and turn windows which incorporate a clean, modern design that dual functions for secure ventilation and easily access for cleaning. Our uPVC windows provide exceptional aesthetics due to their sleek, hand finished profile, that will never warp, rot, fade, or discolour, making them extremely low maintenance. 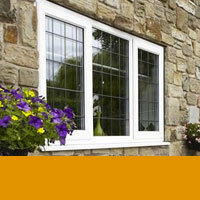 It’s the quality of our double glazing products that provide long lasting performance. Take for example the beautiful bi-folding door. These will seamlessly open out your home to the outdoors with a discrete profile design incorporating slim sightlines and larger glazing areas. They will increase the amount of light that comes flooding into your home, and will impressively retain heat to maintain a comfortable climate. These are high-quality uPVC doors, with functionality to impress you. Available in multiple folding configurations to perfectly optimise your space. While fully closed, you’ll be graced by beautiful sunlight on brighter days, and kept warm indoors during cooler periods. When it is warm, why not open them fully with their innovative folding technology, allowing you create a synergy between your home and garden. 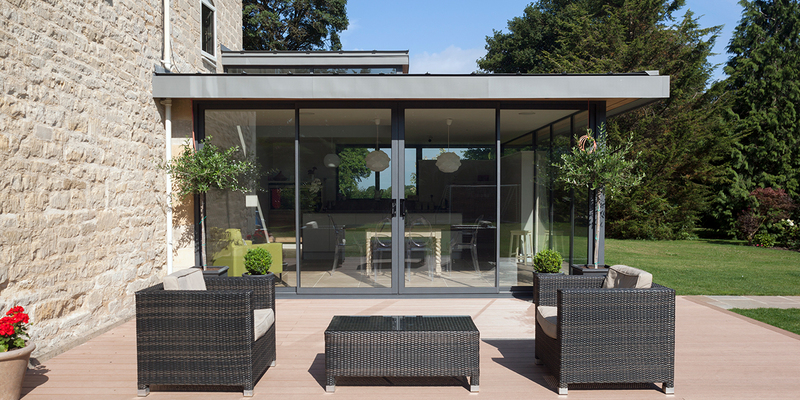 Our patio doors are flawlessly designed to offer incredible functionality, easily gliding on a stainless steel track and allowing for effortless operation. Our doors are available in a variety high-quality locking handle to secure them, whilst providing finishing details of your choice. Completing our range is the beautiful French doors. These double glazed doors are impressively high-performance offering a precision engineered design, which provides stunning aesthetics, seamless operation and a beautifully unencumbered view. Our aluminium double glazing offers innovative design and high performance to Monmouthshire properties. We offer a great range of aluminium windows, which are resistant to weathering and corrosion. These include casement windows, tilt and turn windows and sash windows, Their clean sightlines are popular with customers, as they enable you to enjoy the view outside. Please head to our online quoting engine to tailor your double glazing design and receive a competitive price today. Do not hesitate to get in touch immediately with any questions regarding our double glazing products or service. Just visit our contact page and complete the short form on there.